For many campers, one of the least pleasant things about “roughing it” is having to forgo a nice hot cup of coffee in the morning. With the rise of automatic coffee makers and instant grounds, the art of making old-fashioned, campfire roasted coffee has unfortunately been lost on many. Luckily, there’s no reason you have to go without your morning caffeine fix on your next camping trip. With this quick and simple guide, you’ll be pouring yourself and grateful friends generous mugs of open fire-made coffee. This list, much like the guide as a whole, is short and simple. First, you’ll need a pot in which you can boil water. A hot pad is recommended as well, as boiling water requires close contact with the fire. In addition, you’ll obviously need to bring along coffee grounds. They shouldn’t be the traditional fine grain coffees that you find in grocery stores, though. Since you have no filtration method, it’s better to buy the coarse grind. The final ingredient, of course, is potable water. The fire you build for making coffee should be similar to the one you use to make food. That is, it should be small and hot. Let it burn for a little while without adding too much wood so that you have a nice bed of hot coals to place your pot on. Gather the hottest coals together into a somewhat cohesive circle to heat your water efficiently. Now that the fire is ready, it’s time to actually make the coffee. Start by pouring however much water you need into the pot. Place that pot on the hot coals, and let it sit until the water comes to a steady boil. Then, lift the pot off the coals, and add the coarse grind coffee at a portion of about one or two heaping tablespoons per cup, depending on how strong you like it. Put the pot back on the coals, and let it boil again for a minute or two. Then, remove the pot again and let the mix steep for a few minutes. Finally, add a few tablespoons of cold water to settle the grounds at the bottom of the pot. With that, you’re already done! You can pour the coffee from the pot directly into drinking cups, or, if you prefer, use an intermediate container to further filter out the leftover grounds at the bottom. 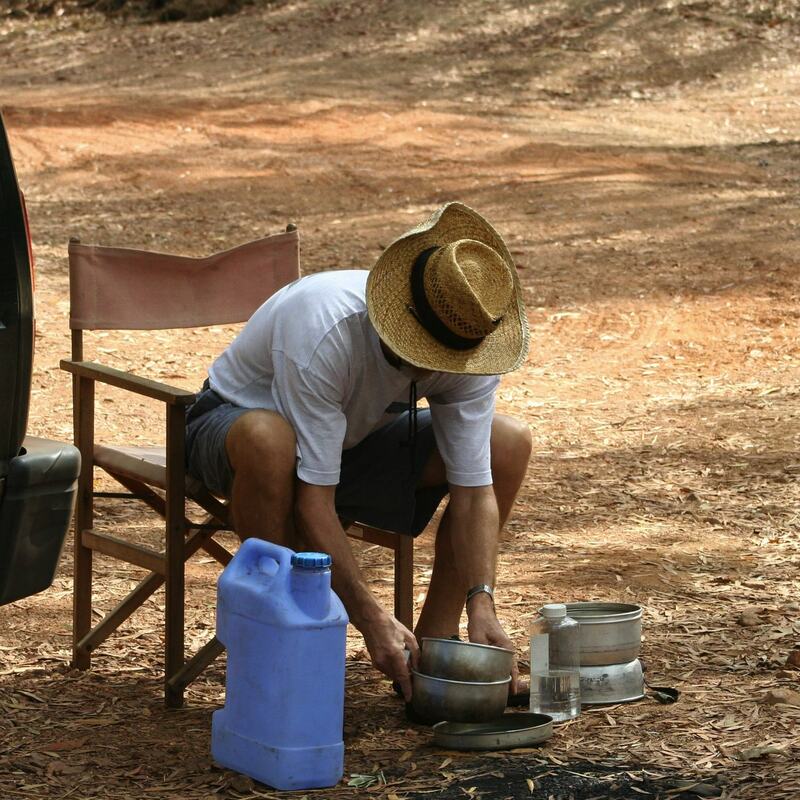 So, there you have it – a quick and easy way to make coffee with nothing but grounds, water, a pot, and some hot coals. It’s no Starbucks Frappuccino, but it will definitely satiate your need for caffeine in a pinch.